Encourage your students to read literature thoughtfully. This activity includes an excerpt from The Land of the Blue Flower by Frances Hodgson Burnett. After your students read the excerpt, ask them to respond to a writing prompt. Encourage them to use comparative works like similarly and unlike. 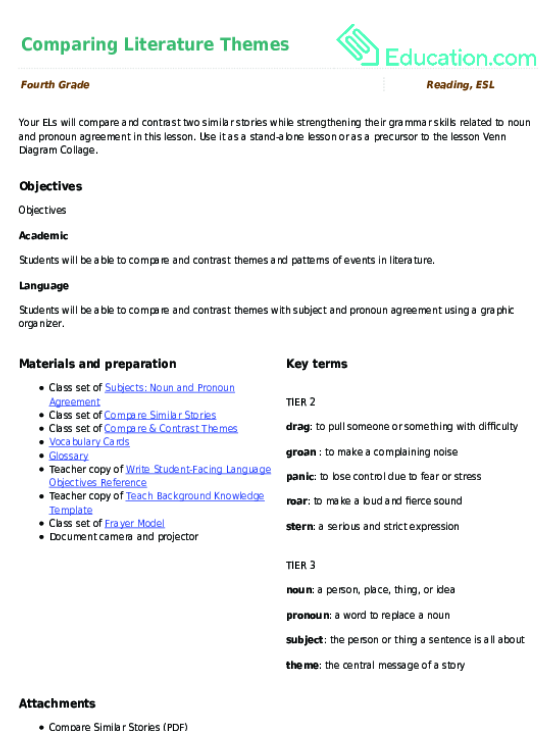 Use this glossary with the EL Support Lesson: Comparing Literature Themes. Use these vocabulary cards with the EL Support Lesson: Comparing Literature Themes.